Google’s YouTube dominated the video marketing headlines again this year – but the launches of Twitter’s Vine and Facebook’s Video on Instagram as well as AOL’s acquisition of ADAP.TV provided lots of interesting sidebars. Here’s a look back at the 20 biggest stories in this year’s installment of our annual video marketing year in review. Dec. 11: YouTube released their most watched content lists of 2013. One of the most popular trends this year has been “prankvertising” – online campaigns in which brands play jokes on supposedly unsuspecting members of the public. Dec. 4: Video ad sharing has increased almost 50x over the last eight years. Unruly’s latest interactive infographic visualizes the explosive growth of video sharing since 2006. Nov. 21: Dove Real Beauty Sketches, created by agency Ogilvy Mather for the Unilever personal care brand, topped the 2013 Top 20 Global Social Video Ads Chart – an annual ranking of the year’s most socially-shared video ads – which was released by Unruly. Oct. 23: Data from Unruly showed that 40 percent of the thousands most shared Instagram videos in September came from brands. MTV had the most shared Instagram Video, alongside the NBA, Peanuts, and GoPro. Oct. 18: In September 2013, 188.7 million Americans watched 46 billion online content videos, while the number of video ad views totaled 22.9 billion. AOL (fueled by its Adapt.tv acquisition) served the most video ads – 3.7 billion to Google’s 3.2 billion. Sept. 25: YouTube comments that are more relevant moved to the top of the comments list instead of the most recent. Google said this meant comments from people you care about will rise so you can see them and there will be no more anonymous comments. Sept. 23: In August, 188.5 million Americans watched 46.7 billion online content videos, while the number of video ad views totaled 22.8 billion, according to comScore. AOL has climbed into second place with 55.9 percent more viewers than it had a year ago. Aug. 22: Google brought skippable video ads to online games. Calling TrueView ads among its most successful, Google now supports the in-stream ads for game publishers on the DoubleClick Ad Exchange, AdSense for games, and select publishers on AdMob. Aug 8: AOL made a fresh $405 million bet on programmatic video advertising by acquiring Adap.tv. The deal gave AOL a power punch in online video with large investments aimed at strengthening its role and influence on the consumer and brand side of video. 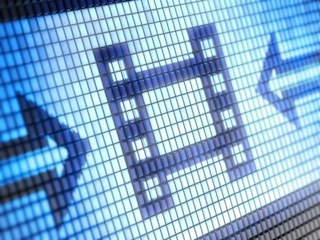 July 18: In June, 183 million Americans watched more than 44 billion online content videos, while the number of video ad views surpassed 20 billion, comScore reported. YouTube also revealed which summer movie and music blockbusters video ads were viewed most. June 20: Facebook and Instagram announced video on Instagram for iPhone and Android. Now, users can record and share 15 seconds of mobile video with basic editing features, including 13 new visual filters exclusively to video. May 30: Although videographers understand the benefits of using slow motion, an effect in film-making whereby time appears to slow down, marketers will want to understand when and how to use it to illustrate issues or demonstrate products more dramatically. May 20: YouTube has been serving its clips of animals, planking, people falling over and monkeys in sheepskin coats for eight years. The video streaming website that launched with a single video on this date 8 years ago now sees 100 hours of video uploaded per minute. May 10: YouTube is launching a pilot program for a small group of partners that will offer paid channels on YouTube with subscription fees starting at $0.99 per month. Paid channels will become available to more qualifying partners in coming weeks. May 8: In YouTube’s first Ads Leaderboard for April 2013, Evian, Dove, and Kmart took the top three spots using dancing babies, powerful insights, and clever wordplay, respectively. The list also showed why it’s important to tap into basic emotions. May 3: With 1 billion people visiting YouTube worldwide every month, virtually any audience that content creators or advertisers want to reach is on YouTube. But, according to Google, the audience that most marketers want to reach is called Generation C.
March 22: YouTube’s milestone is important to more than 1 million content creators from over 30 countries who are earning money from their YouTube videos, as well as more than a million advertisers. Also, YouTube search data is now available on Google Trends. March 11: If you’re interested in building a successful channel on YouTube, you now must think about how to build a cohesive channel experience for your audience. Your channel strategy and your ability to drive subscriptions are critical to your success. Feb. 4: Budweiser’s 2013 Super Bowl ad featuring their famous Clydesdales – and introducing their newest foal, who was just 7 days old during the shoot – was the big winner this year and maybe for all time. Here’s a look at the most viewed ads on YouTube. Will Vine Prove A Game Changer For Video Creators? Jan. 26 (ReelSEO): Vine, the new mobile service from Twitter, creates 6-second looping videos. Why 6 seconds? Because that’s the time it takes to read a tweet. Despite some initial issues it looks like this product may take off and change the way we make and consume video.